Ledger electrical is an electrical contracting business Est 2013 in Barnsley, South Yorkshire. We offer a wide range of electrical services throughout domestic, commercial and industrial properties, including, new installations, rewires, appliance fitting, security alarms, fire detection systems, professional electrical testing, portable appliance testing, CCTV and much more. Check out our services page for more information. Our services cover South Yorkshire, West Yorkshire, East Yorkshire, North Yorkshire and the surrounding areas (we are willing to travel further afield depending on the job/project). We are registered with the National Association of Professional Inspectors and Testers (NAPIT), a government authorised registration body. All the work we do is certified and complies with the UK building regulations. 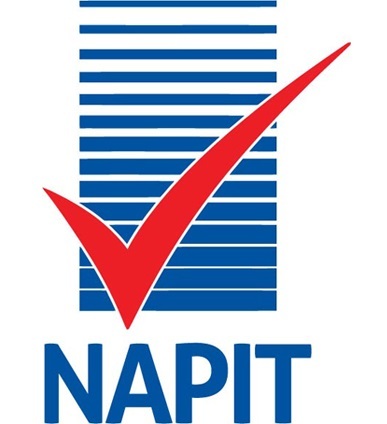 We are assessed every year by NAPIT so you can be sure our work is to the highest standard and that our insurance and qualifications are always up to date. You can also find us at electrical competent person. All electricians listed and permitted to display the mark are registered with an electrical Competent Person Scheme Operator authorised by the Department of Communities and Local Government (DCLG) and the Welsh Government.